MyChoicePad started life in 2010 and over the years we’ve built some great relationships. We work closely with a small number of organisations to deliver a bigger offering to you. If you’re looking for Makaton training courses or you’re a school wanting to get a full class of training on MyChoicePad – we can’t recommend Course Beetle high enough. Please visit www.coursebeetle.co.uk to contact them for more information. If you’re looking for free speech and language therapy advice and support we really recommend you visit Iris Speaks. Their team of speech and language therapists have put together some cracking email and video courses to give you practical tips and advice to help you and your family. Visit www.irisspeaks.com and take a look! 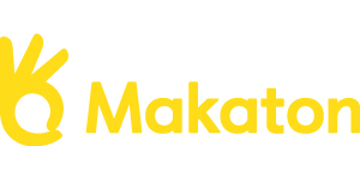 The Makaton Charity exists to ensure that everyone living with learning and/or communication disabilities has the tools and resources they need to communicate. MyChoicePad would not exist without the charity’s continued support over the last 7 years. The Makaton Charity receive a royalty from every sale of the MyChoicePad software.